Feb 17, 1966 - Simon and Garfunkel, Sharon Trostin and Steve Jorgunsen are guests at University College, University of Toronto. Originating from university campuses all across Canada, Let's Sing Out featured audience participation as students joined Canadian and American guest stars in familiar and popular folk songs. The weekly half-hour series was seen on Fridays throughout the CTV network, beginning October 11, 1963. Host for the show was Winnipeg-born Oscar Brand. The series aired on CTV until it was picked up by the CBC in the fall of 1966 and ran for one more season. 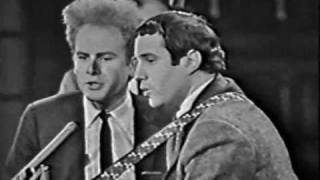 Let’s Sing Out (Series) (1963-1967) Feb 17, 1966 - Simon and Garfunkel, Sharon Trostin and Steve Jorgunsen are guests at University College, University of Toronto. LHHH Soulja Boy, Fizz & Yung Berg Get Personal About Their Mistakes & The Pitfalls Of Celebrity!